The reviews are generally positive, as frankly you can’t really buy that much for a pound these days, and definitely not great make up. I decided to summarise reviews into winning products and losing products based on the reviews and the numbers of positive or negative mentions. It’s not scientific and you may love some of the losing products, so let me know what you think! As a major eyeshadow fan, firstly I love their range. 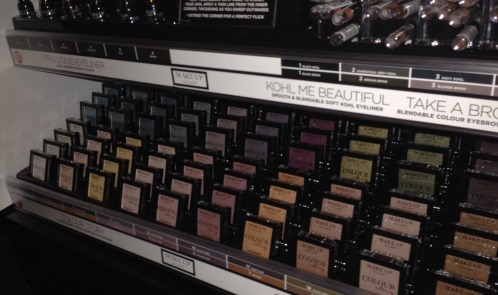 20 shades in a mix of mattes and shimmers with fabulous pigment. And the beauty bloggers agreed with me – phew. There’s little powder fallout and it stayed on pretty much all day. The nail varnish range is 39 colours strong. 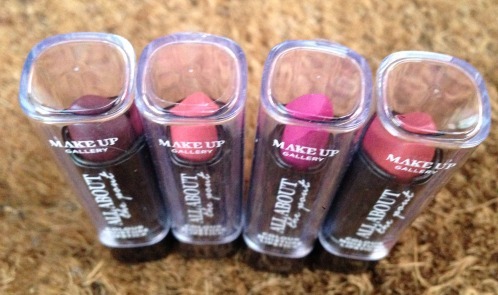 I have about 7 of them and they last just as well as Barry M IMHO. You need a couple of coats and then a top coat at least. 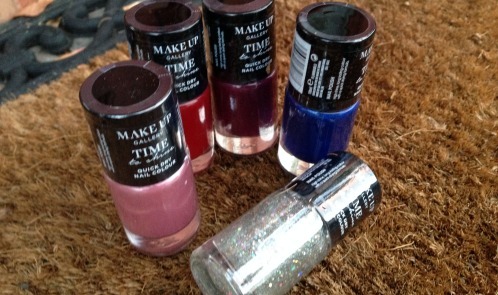 The colour selection was fab, including sparkly varnishes and the bottle looked smart. Long lasting, with just the right amount of moisture so that they glide on. One of the bloggers suggested that they “are probably very much like Barry M’s shades just much better as they dont dry your lips”. Purple Pop is a favourite shade as is Pink Berry, and compliments were a plenty when the bloggers wore them. A good range of eight shades from ivory to mocha and decent coverage, “didn’t look either orangey nor Tipp-Exy”. Staying power was good and it’s got sun protection. The texture has a soft mousse-like feel, but nothing like a more expensive foundation. It contains vitamin E and UVA/UVB filters for some sun protection. “Incredible eyeliner has a short precision brush to allow perfect application”. The liner is super pigmented, with an easy-to-use brush with no chalkiness. Impressive pencil with great colour and doesn’t smudge. Only slight negative if you have dryness or sensitivity is that it did sting a little when applied directly to the water line. The compact isn’t very travel-friendly as the powder is loose and free. Need to keep applying to build up the colour, though the range of colours is nice and it’s got Vitamin E.
The lipgloss was the biggest loser. Gloopy, tastes and smells horrible (I know it’s not meant to be eaten! ), and too sheer to actually be seen on lips. This didn’t have the staying power necessary for the final bit of make up that goes onto the face. Also, it was too powdery and sent up a cloud of powder into the air on opening and application. No drag on application, though better for ladies that want a matte finish, though this powder was far too cakey. Dry and difficult to apply. It even drew attention to blemishes rather than covered them up. Unfortunately, this is not a great mascara. This would be fine for 13 year olds who want to buy a first mascara. But for everyone else, you can get better lengthening for not much more. Both mascaras in the range are fortified with panthenol and keratin amino acids for added conditioning, but the volumising mascara was easier to apply and lashes were glossy looking and nicely uplifted. Unfortunatley, the lengthening mascara was dry and clumpy, and the brush was horrible. Grabbing my purse now! I quite often see different shops selling cheap makeup but am put off that, although cheap, the quality just won't be there. I'll definitely check this lot out next time I'm near a Poundland. I was in Boots the other day and have noticed that they seem to be doing a larger range of more economical makeup too. They were not Poundland prices but better value than the other big brands. It's good to see shops getting more competitive on make up prices and quality now. Oh thanks for sharing about the cheaper ranges in Boots. 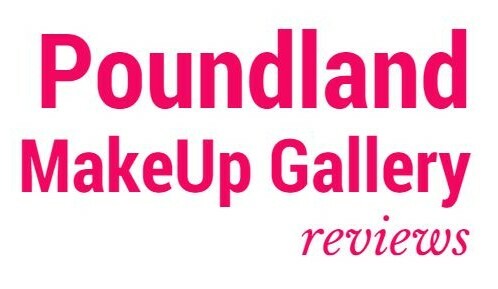 The eyeshadow is gorgeous at Poundland and you can get the whole range for so cheap.